Returns have always been the central standard while going for any investments. These indicate how much the fund has lost or gained during the particular investment period. You may come across returns expressed in the variety of nomenclatures. Have you ever wondered what does each kind of return signify ? or why not use single kind of return in all types of investments. What is the need to quote CAGR in lumpsum investment while XIRR in SIP’s. It is the awareness of these subtle yet significant differences that are going to take your investments to new heights. The more you get to know the usefulness and application of these returns, the more good you are going to feel with your investment reports. It helps you to calculate the simple returns on your initial investment. What you need is only the initial and the current or the ending Net Asset value (NAV) of the scheme. In calculating the point to point or absolute return, the holding time does not play a role. So if your initial NAV was, say, Rs. 20 and now after 3 years , it is Rs. 40, the point to point return comes to 100 percent. This formula is used to calculate returns when the holding period is less than 12 months. The concept of CAGR is relatively straightforward and requires only three primary inputs: an investment’s beginning value, ending value and the time period. CAGR is superior to average returns because it considers the assumption that the investment is compounded over time. 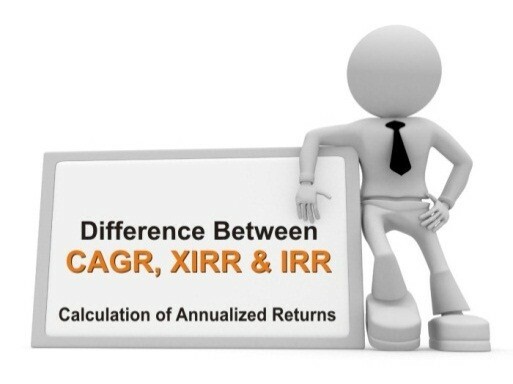 CAGR is the best formula for evaluating how different investments have performed over time. Investors can compare the CAGR in order to know how well one stock/mutual fund has performed against other stocks in a peer group or against- market index. The CAGR can also be used to compare the historical returns of stocks to bonds or a savings account. CAGR is also subject to manipulation as the variable for the time period is input by the reason calculating it and is not a part of calculation itself. It shows past performance of the fund as in you should not expect your investments to grow as per CAGR in future. It does not consider the interim values and relies only on the ending value and the beginning value which may again give a wrong picture if you ignore yearly returns. CAGR is a way to smoothen out the returns, it determines an annual growth rate on an investment whose value has fluctuated from one period to the next. In that sense, CAGR isn’t the actual return in reality. This is similar to saying that you went on a trip and averaged 60km/hr. The Whole time you did not actually travel 60km/hr. Sometimes you were traveling slower, other times faster. But there are sometimes when investment is not made at lumpsum but made periodically. So at that time CAGR turns out to be an irrelevant method to calculate return. Let us first calculate CAGR we got on our individual investment amount. In this way, we can calculate CAGR for each of our investment. But some people might be interested in the total CAGR got on the total investment made instead of CAGR on the individual investment. Here, taking the same example we can see Investment is made at irregular intervals. So the correct approach to calculate return in this type of situation is XIRR . Let us try to learn the concept of XIRR in detail. XIRR is a method used to calculate returns on investments where there are multiple transactions happening at different times. It is a good function to calculate returns when your cash flows(investments or redemption)are spread over a period of time. In the case of Mutual funds, if you are investing through SIP or lumpsum or redeeming through SWP or lumpsum , XIRR can take care of all those scenarios and helps you calculate a consolidated return considering timings of your investment and withdrawals. You can think of XIRR as nothing but an aggregation of multiple CAGR’s. If you make multiple investments in a fund, you can use the XIRR formula to calculate your overall CAGR for all those investments taken together. The IRR approach is a guideline for evaluating whether to proceed with a project or investment. The IRR rule states that if the internal rate of return (IRR) on a project or an investment is greater than the minimum required rate of return, typically the cost of capital, then the project or investment should be pursued. Conversely, if the IRR on a project or investment is lower than the cost of capital, then the best course of action may be to reject it. You make a lumpsum investment (single investment)and calculate returns for the same. You make multiple investments but the annual return is constant across years. These investments can be periodic like a SIP or recurring fixed deposit. By the way, returns in a MF SIP are unlikely to be constant. You make multiple investments and the annual returns are variable. This will be the case with any volatile investment such as equities. You should not use CAGR when you want to estimate returns for your mutual fund investments. 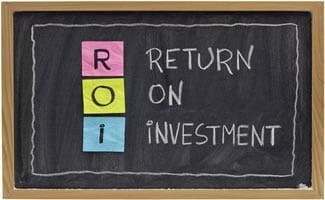 The CAGR Helps frame an investment’s return over a certain period of time. It has its benefits, but there are definite limitations that investors need to be aware of. With multiple cash flows, the IRR or XIRR approach is usually considered to be better than CAGR. Investors should understand how investment returns are calculated and which return to consider for making investment decisions. Awareness and knowledge about calculating the returns from investment is important to be a smart investor. Timing of cash flow As cash flow are there, only time matters is the time between the amount invested and amount redeemed. Longer the period of holding the investment, better the CAGR. It is very important. Timing affects the returns. It gets influenced by the early cash flows. Returns could be amplified or muted based on the timing of cash flows. you have to share the example of xirr to understand it.